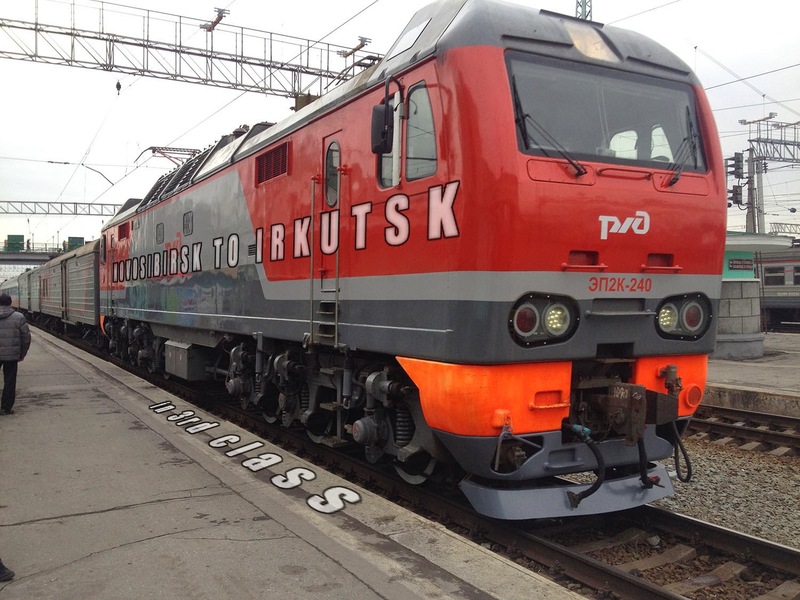 For this leg, 28h between Novosibirsk and Irkutsk I took a ticket in platzkart, the 3rd class. 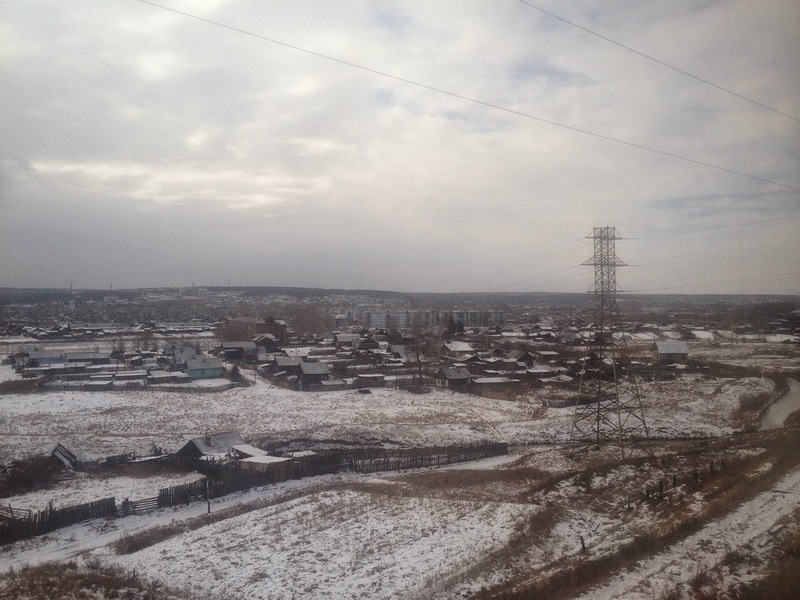 And this time I was onboard the Trans-Siberian train #002, "Rossija". I had 3 other compartment-mates but none of them spoke any English and they were travelling together so I did not have a chance to interact much with them. It came down to me asking them for a knife and that was about it for the rest of the trip. I'm far from the best to "break the ice" and scoialize with people and the language barrier does not help at all. I took pictures as the landscapes passed by. 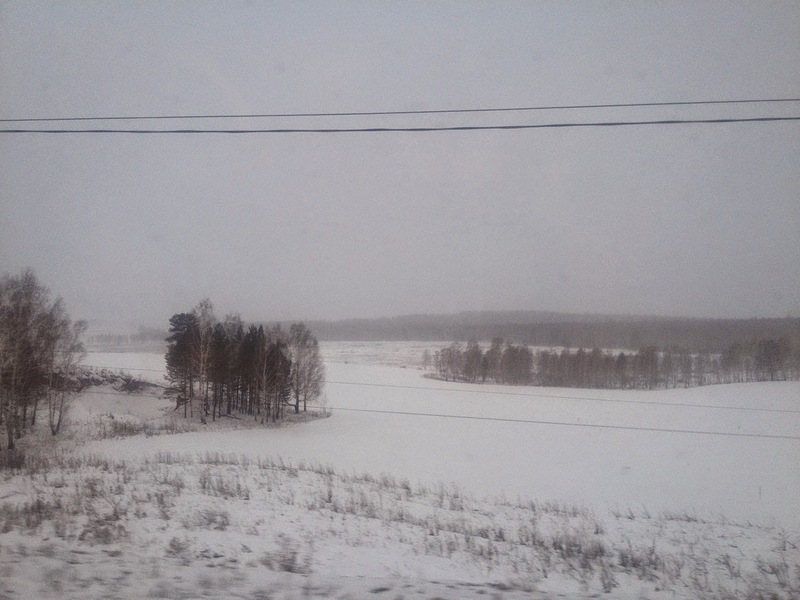 As we were easing deeper into Siberia the snow started to make an apparition. Sometimes you would have an area clear of trees and be able to admire what seems like an endless sea of untouched snow in the middle of nowhere. Not exactly since the train passes by small villages and you can easily spot the workers on the side of the track in their flashy orange uniform. 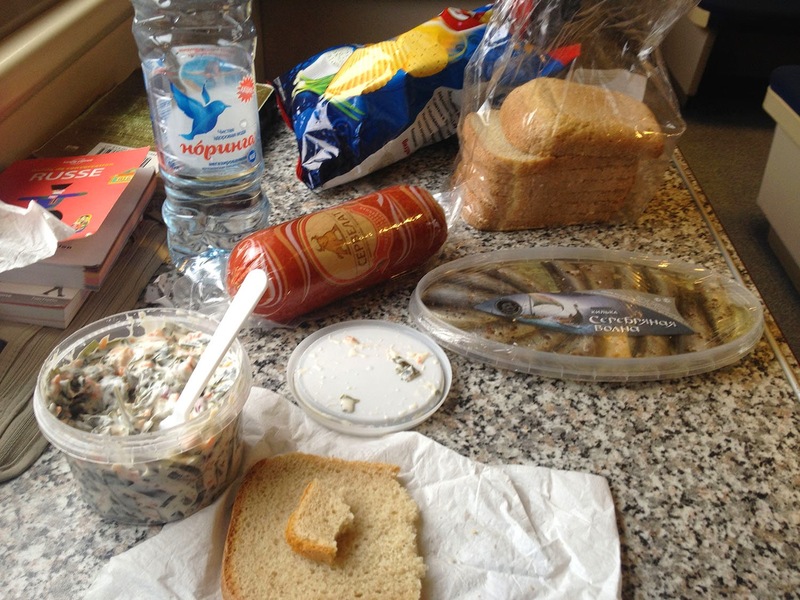 Learning from my previous experience in the Russian train, I had bought myself some more "Russian looking" food before going onboard. I bought some sausage, - it's always a weird feeling to buy food and not being able to read what's on the package - some fish that were sardines I believe judging by the look, a salad with salmon and some sort of algues, some chips, and bread to accompany it all. 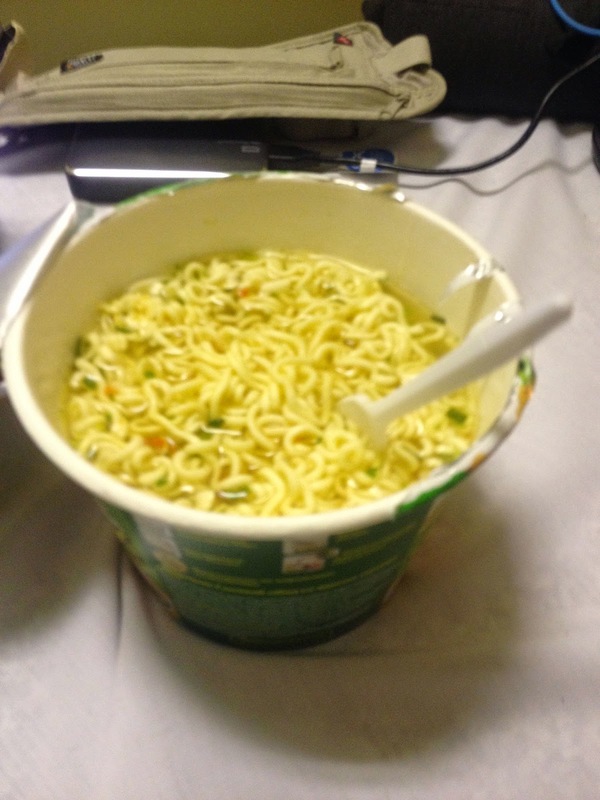 I of course did not forget my dry noodles. So I was feeding myself well during this journey and it turned to be quiet tasty meals. A bit about the sleeping berth now, I was on one of the upper beds. And it has been very hard for me to fall asleep. The upper beds are slightly smaller than the lower ones (also slightly cheaper) and being as tall as I am I spent the night folded in half. I can't recall how many times I have changed position during the night, finding a new one that felt comfortable... for 10 minutes, and then changed again. As a tall person, any public transportation has been a struggle for me, any. Bus, train, plane, taxi you name it, I have found myself struggling with leg room at some point. So, for those of you who read this and are tall, and have legs who don't fit in most mode of transportation, go for the lower beds. You probably won't fit anyway but the little bit of extra leg room is worth the few extra Roubles. Platzkart is much cheaper than kupé (2nd class), about half the price depending on the train, so if you're on a budget it's the way to go, but be prepared for some hard sleeping nights. "You could have let your feet go out of the bed" you would be tempted to say, and that's what I usually do, but it was just impossible otherwise they would reach the middle of the corridor where people pass. I've tried and a few people bumped into my feet, so I decided to fold and try to get some sleep like this.